During the recent OLA (Ontario Library Association) Super Conference, I was fortunate enough to attend a book signing by Kenneth Oppel, a well-known Canadian author of middle grade literature. I got his book Inkling signed for my daughter with the proviso that I read it before she gets it. Featuring artwork by the beloved, award-winning illustrator Sydney Smith, Inkling is a timeless story that speaks to the creator in us all. I loved this book even before reading it! The illustrations are perfect for the story, and I loved the scent of the novel as I paged through it. It reminded me of the days I used to use the roneo machine to make copies of worksheets for my class. Right from the first page, I fell in love with the story. We are introduced to an unusual character in the novel: Inkling, a blot of ink that come’s from the sketchbook of Ethan’s dad. With the advent of Inkling, a young boy (Ethan) comes to certain realisations about himself; and a dad comes to realise that he has been neglecting his family and where he should go with his art. The story kept me engrossed and I finished it in two sittings. There was not a moment when I was bored with the story; or a time when I thought I would put the book aside. Instead as I kept flipping the pages over, I thought of how much my students would love this novel. The one character, Inkling, is unusual and yet Ethan is a normal boy living at home, going to school, and doing things young boys do. It is the type of life readers would recognise and connect with. Readers would also recognise the friendships and rivalries described in the story. Kenneth Oppel has once again written a story that will capture the hearts and imagination of his audience. This novel is creative, has a sense of adventure, and touches on issues important to young readers. This children’s book will, I believe, keep the young child turning the page to find out what Inkling will get up to next. I highly recommend this book for the 7 – 12 year old in your life. 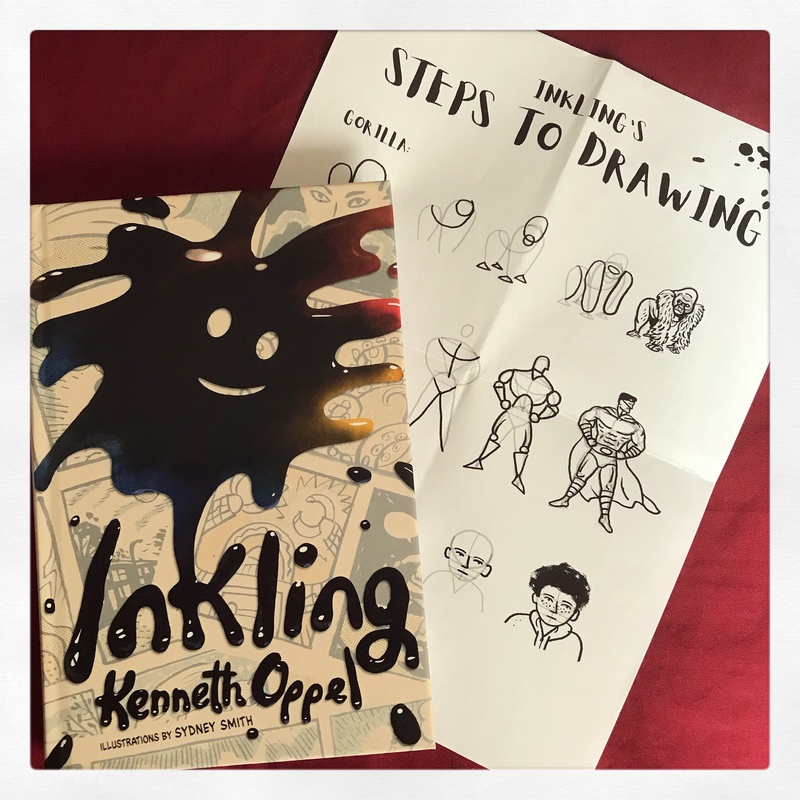 Even a reluctant reader’s imagination will be captured by Kenneth Oppel’s Inkling. I love Kenneth Oppel. I’ll have to look out for this new book. I enjoyed reading the story – so original – and I think the kids will too. The story of Inkling is so cute.